BBC’s Hardtalk bills itself as “the hard-hitting flagship news programme” of the world’s largest media institution, its combative format supposedly geared toward asking “the difficult questions” and getting “behind the stories that make the news.” It often features world leaders and celebrities and its audience spans the globe. But a May 8, 2012 Hardtalk (“Are American Jews fed up with Israel?“) underscored the extreme bias the BBC can exhibit in handling Jewish matters, in what it presented as accepted fact about the role of American Jews and foreign policy and in who it enlisted — Norman Finkelstein, author of The Holocaust Industry — to comment on American Jewish attitudes towards Israel. 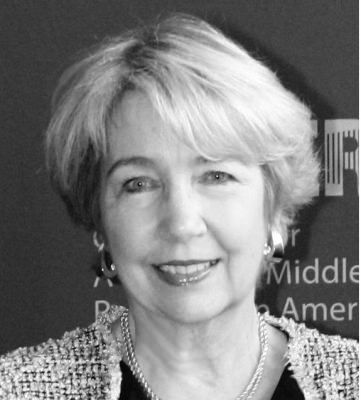 To begin, anchor Sarah Montague asserted as fact that American policy is “in thrall to the Jewish lobby” and “the American Jews influence US foreign policy and that explains Washington’s increasing support for Israel.” Then she invited Finkelstein to expound on American Jews drifting away from Israel. Although she interjects occasional challenge to Finkelstein’s claims of Jewish disaffection and points out he’s controversial, Montague also allows distorted and extreme allegations against Israel to pass without comment. While a discussion of Jewish attachment to Israel may be newsworthy and a reasonable topic for debate (when not introduced as Montague did this segment), the notion that Norman Finkelstein is a fit and credible commentator on American Jewish feeling for Israel is outrageous. His record of fallacious, virulent attacks on the Jewish state and expressions of sympathy for Israel’s avowedly genocidal enemies is well known. Israel is carrying on in a lunatic fashion. I would like to ask you. Name me another country in the world. 2003 Israel was the cheerleaders for the war in Iraq. 2006 it went into war in Lebanon. 2008/2009 it attacked Gaza. Now it talks about attacking Iran. If you read the Israeli papers every day they talk about — should we attack Gaza? Should we attack Lebanon? Should we attack Syria? Name me another country in the world that falls into that category. It’s a lunatic state. At a time of growing anti‑Jewish sentiment in parts of the world, the BBC’s global influence makes its presentation of a bigoted figure such as Finkelstein, with his distorted claims, all the more reprehensible. American presidents have long been criticized for being too in thrall to the Jewish lobby. The American Jews influence US foreign policy and that explains Washington’s increasing support for Israel. So what happens if American Jews fall out of love with Israel? That’s what the Jewish American academic, Norman Finkelstein, claims is happening. But then, he’s nothing if not controversial. He, after all, is famous for accusing Jews of exploiting the Holocaust. And his actions have so incensed Israel it’s banned him from entering the country. Could he be right and if he is, what does that mean for America’s Middle East policy? First, Montague’s charges that American leaders are “in thrall” to the Jewish lobby and that “increasing support for Israel” is the result of Jewish influence are bigoted assertions divorced from facts. Israel enjoys broad support from the American public for cultural, moral and religious reasons. The latest Gallup survey shows continuing strong sympathy for Israel, with 67% of Americans — nearly 7 out of 10 people — expressing a favorable opinion. Likewise, the preference of Americans for Israel over the Palestinians is at a 20‑year high of 63% versus 15%. In supporting Israel, American presidents and policymakers represent the views and wishes of the wider American public, including the small percentage who are Jewish Americans. Nor, in any case, is US policy always consistent with what Israeli governments might want. There are differences and disputes, as with other US allies. The BBC here is simply parroting the prejudices of many in its own chattering class and echoing Walt/Mearsheimer‑type academics and fringe voices in the US whose arguments have been systematically challengedand debunked. As with many on the political hard left, Finkelstein wants to believe American Jews have at last begun to turn their back on Israel, a development that would, in his argument, unshackle American policy — because the so-called Jewish lobby would presumably be severely weakened and the allegedly artificial support for Israel would collapse — and finally would come the end of the U.S. “veto” that has long prevented certain international bodies from taking harsh action against the Jewish state. That is, America would use the full weight of its power against the Jewish state, not for it. Finkelstein asserts in the Hardtalk segment that “distancing” of American Jews from Israel is underway, especially among young Jews, a claim he says can be seen in both survey and anecdotal evidence. He offers no specifics about the surveys, focusing mainly on the “anecdotal,” specifically Peter Beinart, formerly of The New Republic, and David Remnick, editor of The New Yorker, as examples of Jews who, out of “dismay… verging on disgust,” denounce Israel. Beinart, author of the newly-published The Crisis of Zionism, has encountered a firestorm of criticism from the Jewish community, spanningthe political mainstream. He’s about as relevant and acceptable for the topic at hand as it might have been for an American media outlet to have interviewed pro‑Nazi British propagandist Lord Haw Haw during WWII for his insights on the status, conduct and morality of the English public. He broadcast from Germany during WWII seeking to demoralize his countrymen, denouncing alleged British brutality against Germany, extolling the enemy, mocking English fears and denying Germany’s aggressive intentions. A strikingly incoherent exchange focused on freezing settlements and whether the US president would like Israel to take such action. The conversation totally omitted reference to Israel’s actually having frozen settlements for 10 months and the absence of any reciprocal movement on the part of the Palestinians. The witless discussion ignored the facts, with Finkelstein making the observation that if Prime Minister Netanyahu were to announce a settlement freeze, President Obama would “be thrilled” but claiming the lobby prevented this. But, in reality, the Israeli PM did introduce a freeze! The BBC’s Montague also is uninformed, speculating as to what would happen if Obama insisted on a freeze. Again, Obama did take such a position and the Israeli leader responded by taking the unprecedented step of agreeing to the freeze. Israel’ s efforts, including its accommodating the US with a key concession and the apparent inability of the so‑called lobby to prevent a policy Israel opposed are completely absent from the exchange. Such information, of course, would have given the lie once more to the spurious claims of Jewish control of US policy. Montague did attempt from time to time to expose Finkelstein’s extreme reputation, saying he’s known for ranting and is not taken seriously. When you look at the history of Israel, do you not have some sympathy or understanding, people would ask, as to why they would feel threatened. We’re not talking about why they feel threatened; we’re talking about a country that every two or three years goes to war. And if you follow the press as I do every day, they talk about — let’s attack this country, let’s attack that country. That’s not normal. What’s not “normal” in an ethical sense is the world’s largest media institution, the BBC, associating itself with a man like Finkelstein, giving him a platform and allowing him to smear a nation and a people.